Wine Review - 2011 Monkey Bay Sauvignon Blanc: Slightly Sweet Sauv Blanc...Say WHAT? Montecillo Wine Flight Review - Crianza And Reserva....Delicioso! 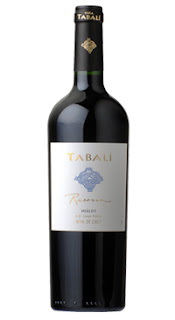 Wine Review - 2010 Tabali Reserva Merlot: Spicy Chilean Merlot...Delish!